We discovered this interesting Do-It-Yourself Tequila Bottle lamp in Chiapas, in a town near the Guatemala border. It was literally tequila bottles put together with corks, and fishing line. If anyone is interested in getting the full instructions, leave a comment and we’ll elaborate. 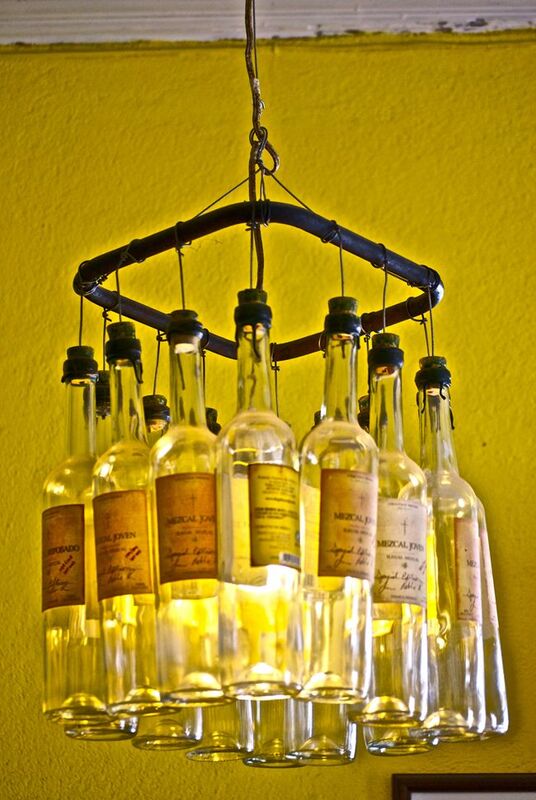 This entry was posted in Gallery, La Vida es Bella and tagged DIY Tequila Bottle Lamp by john. Bookmark the permalink.